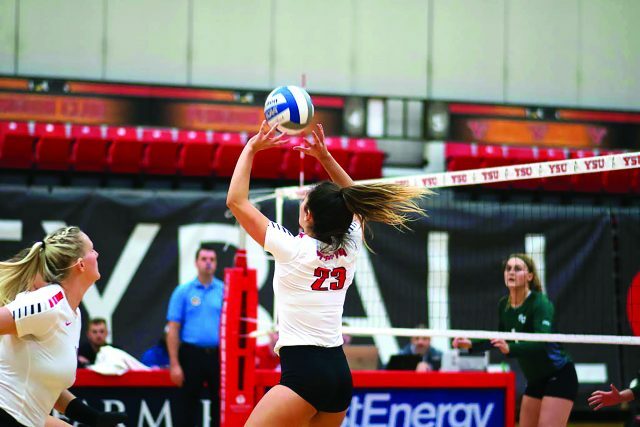 Confidence was echoed from the Youngstown State University volleyball team despite coming off a season in which the team finished just 7-22. The Penguins began the 2018 season with a red-hot start, winning the first three matches of the season, and five of the first seven matches. As the season pressed on, so did the workouts, matches and travel. While every team has to go through the difficulties of a long season, for a team with so many newcomers including four freshmen, things began to unravel. Byrnes was a redshirt freshman in 2018 after sitting out a year with the University of Louisville volleyball program the year prior. 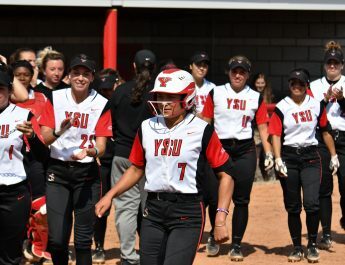 Now, with her first year in the books in Youngstown, she understands what such a long and tough season does to a team, and what needs to change. Byrnes isn’t making any promises, but believes a change in attitude must occur for these things to even have a chance of happening. “It was a bad season, and it’ll be better in the future. I’m not worried about it,” Byrnes said. While the players get a short amount of rest right after a season is completed, there’s no time off for coaches, especially for head coach Aline Scott. Scott, in her first year with the Penguins, said there were a lot of things that played into last season. While there was some good, her job as head coach is to eliminate as much bad as possible and figure out exactly what went wrong. There were some positives towards the end of the season. Scott said looking ahead and acknowledging the growth that was taking place was very important, even if it didn’t show up in the win column. A new tone is in the works with the spring already right around the corner. Spring play includes four tournaments for the Penguins. These tournaments don’t amount to wins and losses, they’re simply put in place to get teams in each conference a chance to improve skills in a game setting rather than just a continuous practice setting. The Penguins host two tournaments this year. Not to be forgotten in a tough season are the two seniors graduating at the end of this year: Sarah Varcolla and Morgan Tippie — two players Aline Scott was very high on, and two players who will have left their mark on YSU volleyball going forward as the team gets ready for a turnaround effort in 2019.